The Maryland Department of Natural Resources now offers visitors to Janes Island State Park in Somerset County free use of fishing gear and tackle as part of a new pilot project between Fishing and Boating Services and the Maryland Park Service. The state park in Crisfield is a well-known fishing destination on Maryland’s Lower Eastern Shore, and provides boating and fishing access to Annemessex River, Daugherty Creek and Tangier Sound. The park also has a fish cleaning station in its marina, making it an ideal location for this innovative department program. 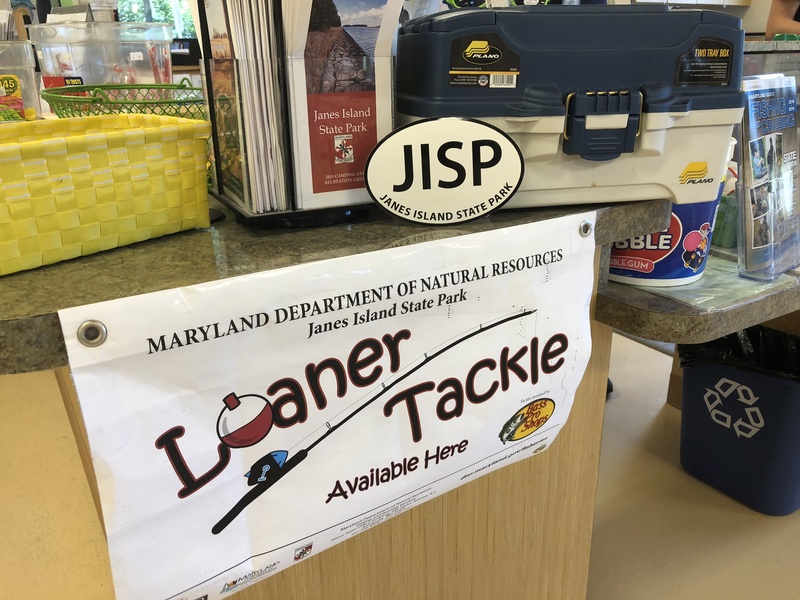 The loaner program began in the summer of 2018, with eight to 10 rods available at the camp store. Each rod is rigged with simple top-bottom rigs for croaker, perch and spot. The rods were donated by Bass Pro Shops to help support the department’s recreational conservation, education and outreach efforts. The department is exploring expanding the program to additional state parks as well as enhancing gear and tackle options.